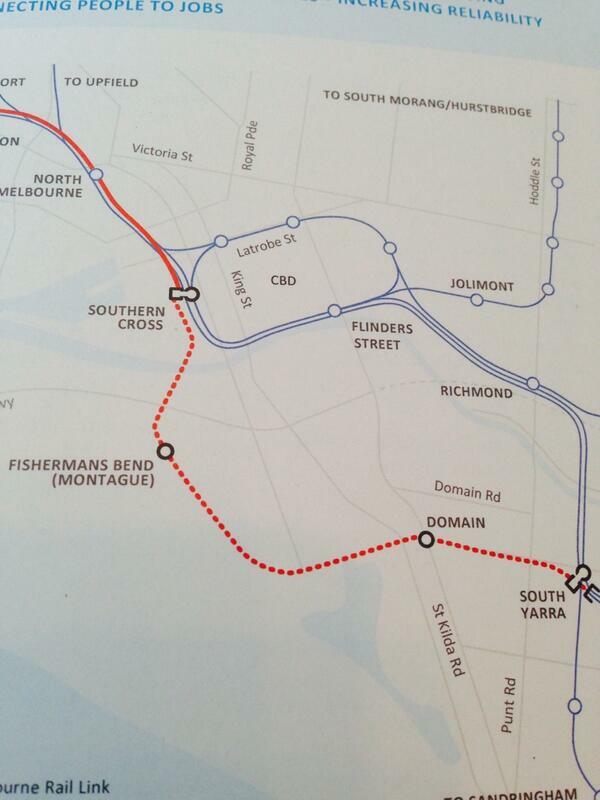 The Melbourne Metro Rail project, a tunnel from Footscray, through Parkville, under the CBD to South Yarra has been dumped and replaced by an $8.5-$11 billion Melbourne Rail Link. The new link combines the Airport Rail Link with a new underground city train which will run from Southern Cross to Fisherman’s bend then to South Yarra via a new station at The Domain. The project will receive no federal funds and the state has contributed $830 million over the next four years, including $40 million for planning this year. It will create 3700 jobs during in construction. “It will be the biggest expansion since Henry Bolte created the City Loop,’’ Mr O’Brien said. The rail network capacity will increase by 30 per cent. Mr O’Brien said the old alignment would have only lifted the network capacity by 19 per cent. 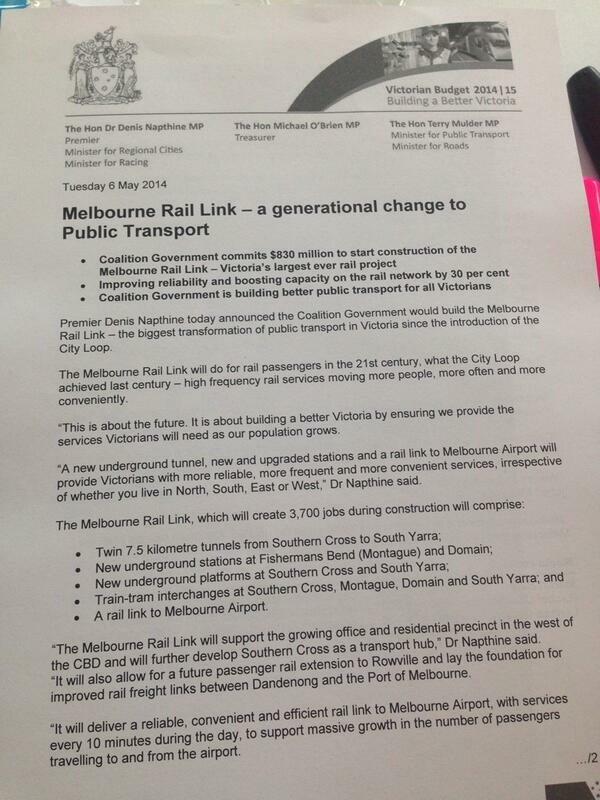 Importantly, Mr O’Brien said it removed the need to rip Swanston Street up and divide the city for years. Oh dear, another city where politics has resulted in a half-baked solution. As someone who occasionally has to get to the now bypassed Parkville area by public transport, this is very bad news.